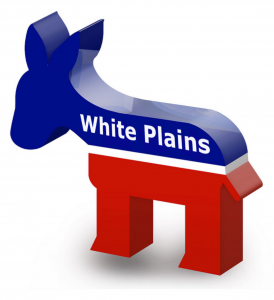 The White Plains Democratic City The White Plains Democratic City Committee District Leaders and Committee officers work diligently to represent every community within the City of White Plains to advance the goals of the Democratic Party. As members of the White Plains Democratic City Committee, we strive to elect candidates and support elected officials who are dedicated to Democratic Party ideals — justice, equality, and building a strong vibrant community where every voice is heard. The energy and activism of our members and elected officials help us to achieve our goals. If you are interested in representing the people of White Plains and furthering the ideals of the Democratic Party, we welcome you to join us!